Facial recognition technology is on the rise. Hardware and software that combine to process the data contained in images of human faces is currently undergoing a commercial renaissance. As a result, it is increasingly ubiquitous among national and transport authorities. Companies that offer facial recognition suites, such as NEC, also target private companies as customers in need of internal security and monitoring. 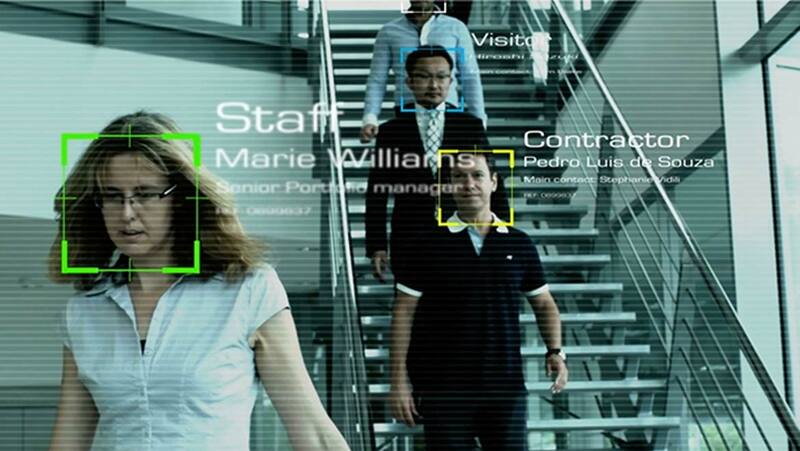 Facial recognition has many potential uses, including the identification of criminals as they attempt to move in public spaces and cross international borders. However, it could also be used to identify employees and customers, track movements whilst on corporate property, and also be used as a widespread remote public surveillance standard in general. Companies such as NEC claim that they can derive high-quality facial data from even low-resolution images. This may help authorities distinguish one person from another with high accuracy, but could also track them in a non-invasive yet quite privacy-impugning manner. On the other hand, software that identifies people based on processing whatever image data there exists on them may have more beneficial uses, including the investigation of missing persons cases that may lead to the location and possible rescue of the target in question. Police investigations that attempt to track people who have disappeared under potentially suspicious circumstances are unavoidably complicated by the fact that individuals change in appearance over time. These issues are particularly prevalent in the particularly unfortunate cases of missing children. Some estimates suggest that hundreds of thousands of children are reported missing in Europe every year. A team at Bradford University set out to address these problems. They used software to study visible aging in people’s faces, focusing on the most universal features of this process, namely how cheekbones, jawlines and eyes respond to the effects of aging. The Bradford team’s work ultimately resulted in algorithms that produced data on how a particular face was most likely to look in a certain number of years. The team referred to these calculations as sparse partial least-squares (sPLS) regression in their paper on the subject, published in the June 2017 edition of the Journal of Forensic Science. This paper also described how the new facial-processing programme performed when applied to the case of Ben Needham, a British child who was reported missing 27 years ago. Ben was 21 months old when his parents lost track of him on the island of Kos in Greece, and would be nearly 29 now, presuming he is still alive. The team at the Bradford centre for visual computing, led by Professor Hassan Ugail, used their project’s end product to generate images of what the boy might look like at six, fourteen and 22 years of age. Oddly, when these results were compared to those of existing automatic facial aging software, there were considerable differences between the images generated by each modality. The question is though, which was more accurate: the Bradford team’s model or the pre-existing standards? The researchers from Bradford set out to improve on automatic facial aging progression (AFAP), a computer-generated model of facial changes over time that is currently used by law enforcement and other bodies involved in missing persons’ cases. The new modality of AFAP, known as active appearance modeling (AAM), was based on extracting features that are constant across a large database of facial images and using them to develop a function that aged these faces. This model then used sPLS to generate new images of the same faces at different ages. AAM was then validated by using it to ‘de-age’ faces to represent them at lesser years. When these results could match real-life images of the same older people in their younger years, AAM was judged to have a high probability of success in extrapolating age in the images of missing children. The success of AAM was evaluated by both computerised and human methods, and found that the new hypothetical images of Ben Needham proved a compelling match with his existing pictures. Professor Ugail notes that he and his team did not work to tear down the research that led to previous forms of AFAP. On the other hand, the applications of AAM are of obvious significance to forensic science; if it contributes to the successful identification and recovery of a missing person, it is likely to become the new standard in synthetic facial aging. At present, this research may benefit from further testing for validation and replication purposes. If AAM can indeed produce reliable results, it could have additional uses. These could include projecting the effects of aging for cosmetic surgeons and their patients while discussing procedures. AAM could also give improved predictions of the effects of facial surgery – in other words, it could show a patient what they should realistically expect as a result of procedures such as rhinoplasties. This may help manage the risks of repeat surgeries for those who are dissatisfied with the ‘look’ resulting from initial procedures. Active appearance modelling is a potential new method of producing hypothetical images of missing children or younger people as teenagers or adults. This new standard of facial imaging may help national and international police to find the possible victims of abductions, accidents or disaster situations. Professor Ugail and his team from Bradford University have also showcased their AAM project at the 2017 International Conference on Missing Children and Adults in the hope that it may contribute to this important concern. AAM has demonstrated the potential to generate realistic images of a missing child at several different ages, and hopefully has the ability to do so for many more people affected by similar cases.